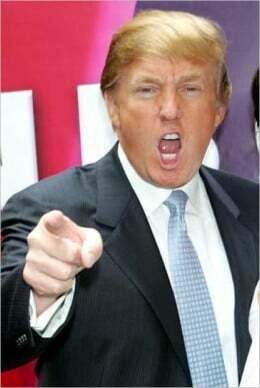 I have to wonder with Donald Trump slipping in the polls, if he is going to stay in the race for the Republican nomination to run for President? Not sure if his ego will allow him to be in 2nd place and eventually lose. If he looks like he won't win, how do you think he will make his exit? I agree...that ego thing of his will not allow it. I think as long as he pivots between 1st and 2nd, he'll hang in. When he begins to pivot between 2nd and 3rd position, he'll be done. The reason will be that "we the people" can't keep up with him or that we don't understand and his time is too valuable. Something along those lines. Also, when that day comes and Trump bows out of the race, (probably in true Trump style, not so gracefully) I think that he'll endorse Ted Cruz. Cruz may be the only rival that Trump hasn't personally attacked in some form or fashion. Interesting perspective. I does seem like Trump is slipping now. I have a feeling he's going to have some sort of cop out for no longer running. Something like he made people talk about issues, now it is time others to take it / I am too busy. He will exit lacking class, being a loud mouth, and being a hot head, the same way he entered. LOL....... I love you peeples/ You're so REAL. I think you're the daughter I never had. He won't exit with the grace Joe Biden (D) displayed when Biden was caught plagiarizing campaign speeches. He won't exit with the aplomb exhibited by Gary Hart when he was caught having an affair with Donna Rice. Why is it anytime someone says something bad about a republican ppl feel the need to point out what a Dem has done wrong? I have mixed feelings with Trump and always did. The one thing I ponder all the time about him is he very, very seldom smiles. He seems always to have a very staunch grimace appearing to be challenging any sort of feedback or questions seeking information. Almost intimidating offering to me ponder as a weakness as a leader. Yes, as a position it may be a tactic with negotiation, but seeking a vote I ponder again. I think that portrays him as not willing to listen to me as audience seeking understanding him as a choice for primary candidate. As far as the issues go I am still open with all the candidates maturing their positions with the time ahead. That does not answer the question, oopps! With the posts so far I agree with Peeples. He will go out with a rampage of some sort if that occurs. A view is he may be more on a power trip as he compares his billion dollar status to others in that range. Possibly being the president is an extension of his ego since the U.S. is kinda' the largest corporation. If one cannot be the best as a billionaire, then be the head of the greatest business / social enterprise - President. I dun'no . . . Probably as the GOP candidate for the presidency after the convention. If he doesn't win the nomination he will blame the Republican National Committee for using a strategy to get him to quit. Even when Scott Walker quit he suggested other candidates quit so they con focus on bring Trump down. The RNC does not want to let the voters decide. I expect to see a lot more negative ads geared towards him and Ben Carson for that matter. As the field narrows down debates will become more substantive and people will be looking for more details beyond "I will be great at this." In the end the nominee will be an establishment candidate: Marco Rubio, Jeb Bush, or John Kasich. Loudly, gracelessly, and with lots of name-calling rhetoric, blaming everyone but himself, just as he's run his campaign. It can't happen soon enough to suit me. The Republican party can do better than this blowhard. Sorry but your question made me laugh: Even a winner exits the race. Seriously the polls right now will not matter in just a bit. Carson attempted murder as a youngster. Found God and escaped justice. That kite just won't fly into strong autumn winds. So let us see what happens then. As a former Republican of 33 years, I left the party when I got tired of hearing only militant, hostile, bombastic male voices and the most misguided combination of Libertarian and antiquated antebellum ideology. I think The Donald will blame us the voters and say it was not a fair and just election. But I think he will stay in the race until someone get ahead in the polls. His ego will not allow him to drop out while he is still ahead. Too funny -- that is still the Dem talking point? Thought that was defunct several days back. While I don't see Trump as President - you can bet if he walks away it will be for good reason - not Dem talking points latching on to Carson rising above him in a few polls. Dems sound desperate.......... And I'd take Trump over any Democrat - period. What on Earth are you talking about? I had no idea there were any talking points on this matter. I just know Trump has an ego the size of Texas, and he isn't going to stand to be in 2nd for long. He either pulls ahead or pulls out. John, it's been a Dem talking point across liberal networks as soon as polls showed him losing ground -- they wish to see that happen of course. Some years back, anyone posting such a thing HERE would be a Dem in disguise - clearly you aren't.. I'm definitely not a Dem and I am not anti-Trump. I want to see Ted..... Cruz into a victory! If, that doesn't happen, Trump has kept his A.D.D. under control and he's the last man standing, I'd vote for him in a heartbeat over any Dem! abw...Cruz is immensely impressive. I've taken a serious interest in him and I like his history. He's no one's lap dog!! I always laugh at the self-destructive so-called "Conservatives" who are not conservatives but fanatical ideologues. At what point in the US Constitution did ideology become a two party system? Instead of Dems and GOP, ideology? Hi John.....I don't necessarily "like" Donald Trump particularly, nor do I hate him. He's just a man. Take away his billions and he's what? who? The guy next door with the funny hair. Should he choose to exit the campaign, he will do it "Donald Trump style." Since he never prepares for any speech ever, he'll shoot from the hip and babble on & on about HIS opinions, HIS reasoning, HIS BS ...continue to claim he's the the smartest, wealthiest, most loved, human being all over the world, who can make deals no one else can ever or will ever, has created unrivaled success...and will go on being a Super Star forever, while the next President destroys the country & the world......and it will be OUR fault for making him/her President instead of Donald. Truly, it matters not to me one way or the other. However, I can name some candidates whose sigh of relief and champagne corks will be heard round the world. Let's hope some SERIOUS campaigning & debate can begin as they exit the playground!. I like your level-headed perspective on this Paula. That sums it up perfectly. Thanks! I don't think Trump will walk away. The only are he is "falling behind" is Iowa (the last survey was only 390 people.) He is solidly winning Nevada, South Carolina, and New Hampshire - three of the four early states. HE performed very well in the last debate, despite the moderator trying to ignore both him and Dr. Carson for most of the time. I don't see him bowing out until after the nomination is settled. I see him negotiating for something, like the chance to speak at the convention. I see him mulling over the possibility of a third party run, especially if Clinton and Bush are the nominees. When you live a lifetime in the NY/NJ metro area, you get used to The Donald starting projects he can't finish. He's started more marriages than Gingrich and pays out more in alimony and child support to the children of his former golddigger wives. Here in NJ, his Trump Taj Mahal is the cause of massive unemployment in Atlantic City. Now, his grandiose helicopter pad for his personal use goes unused and with it all of The Donald's days of glory and power. His exit from the presidential race will be like all of his other exits...no fanfare, just a quiet little disappearing act, which he will months later redefine for his public image. Without a doubt he is a good businessman. But I am not sure he would be a good President. I think he have what it take to be the Secretary of State, but not President. I image he would have what it take to be President, after serving one or two term in the senate or after serving as governor. I think he have what it take to be a good governor. The Donald has had everything handed to him on a silver platter or spoon fed from silver spoons. That breeds his attitude of "entitlement." A good businessman doesn't live destruction behind him for self-seeking purposes. Peter, Donald's father was a multi-millionaire real estate developer! In fact Donald recently stated his father gave him a small $1 Million loan to start his own business. Donald Trump has never experienced poverty! peter....you definitely have the WRONG Donald Trump.....and I hate to shock you but there is only ONE in all the world. DT got his original "boost" from Papa. Kicking and screaming, putting down all the other candidates, and generally making a fool of himself. He's not going to exit. He's leading his opponents at 42%. Um guys, are we on the same planet? He is at 40% in the polls. And we are having this conversation why? He wasn't leading like that when I started this question. No, not when he's so strongly the frontrunner. You do realize the only reason The Donald is even running is because he believes he'll get those 159 pending lawsuits against him expunged? And, how convenient he is sidling up to Chris Christie, a Bush appointed attorney Trump hopes he can use. He is never gonna leave when he is receiving such an overwhelming response even to his freakish ideas. Birther Trump will exit the presidential-race by getting elected in November of 2016 A.D. He will probably shoot off his mouth and claim the votes are faked. Then, he will have a party somewhere, maybe on a yacht or overseas, and pretend it doesn't bother him. Meanwhile, I think he will try to undermine whoever becomes president through the media to get even. He is used to getting his own way so he will have a temper tantrum and then pretend he's not upset. But he will be sneaky about "getting even".